For the animal lover that knows how to dress. 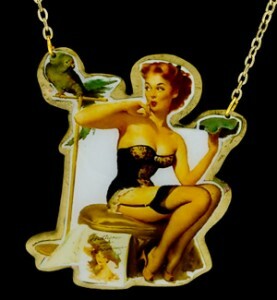 This pin up has perfectly quaffed 40’s hair and a lovely little parrot friend. Get noticed with this eye catching pin up necklace.